Having a live chat system on your website has many benefits. For starters it reduces the cost that you would incur with phone support, we all know that having an 1800 number can be a costly affair depending on your call volumes. A recent research by Forrester showed that customer support through best live chat apps for Android is 17-30% cheaper than the traditional phone support. Secondly, enabling live chat can help boost your sales. A study by the American Market Association Study showed that when you enable live chat services on your website, you can increase your conversion rates by at least 20%. The study also showed that customers who engage with you over live chat are three times more likely to become paying customers. Live chat software can also help boost your customer service and loyalty. In a study done by Oracle, the company found that 90% of their customers said that the Live chat button gave them extra confidence that they will get support at any given time. An excellent live chat software that is managed by a dedicated team can also help you discover customer pain points and decrease your problem resolution times. 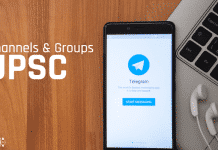 In a recent study, the Aberdeen group found that Live chat mobile app was the preferred way of communications for their customers, especially when shopping online. There are many more such stats that advocate the use of live chat on websites. However, if you are ready to take the plunge or have already made up your mind about getting a live chat software for your website these top five live chat apps should be on your shortlist. Intercom is a best free live chat app you can use to catch your website visitors and convert them into paying customers. You can engage your visitors on your website and text them via chat or email. Intercom also lets you track events and custom data for your leads. One disadvantage is that the events are tracked only when a visitor starts a conversation with one of your team and becomes a lead. 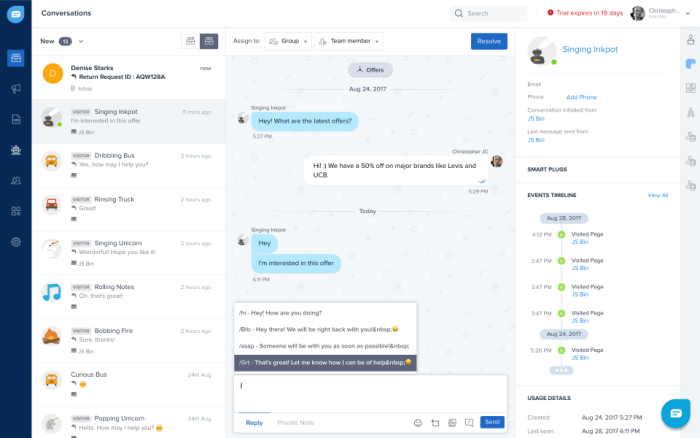 Intercom integrates with Salesforce, Clearbit Reveal, and Slack. You can pass on conversations that happen in Slack, and the leads captured using Reveal directly into your CRM. There are two pricing plans Essential and pro. Essential is the basic plan which costs $106. Brands like Tradeshift, PlobalApps, and Salesloft have been using Intercom to improve their Sales cycle. The main disadvantage of Intercom is it is charged based on the growing visitors. This immensely affects smaller companies with large volumes of website traffic. Freshchat is a modern messaging app for sales and customer engagement teams to talk to website visitors and in-product users. The biggest advantage of Freshchat over other solutions is message channels that help categorize conversations into topic-based channels (Eg., Billing, Feedback, Delivery, etc.). Freshchat lets you send targeted messages to visitors who abandon carts by capturing events like name and value of the item added to the cart and visitors who downloaded a case study by capturing events like the name of the case study and the navigation path of the visitor. Freshchat integrates with the Facebook messenger, Freshdesk, Fresh sales, Clearbit and Slack. 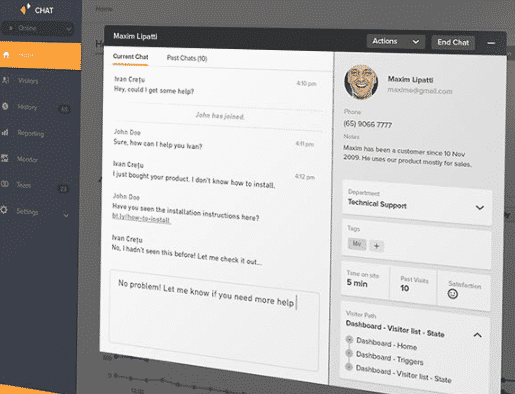 The CRM and customer support integration makes it easier for a user to have all the conversation in one place. Freshchat is the most affordable of all software with the pricing of the basic plan starting as low as $19 per agent. Freshchat offers four plans sprout(free), blossom, garden, and estate. Brands that use Freshchat include Make my Trip, Chargebeem, HMD and of course Freshworks the parent company. Being new in the market the chatbots in Freshchat are still a work in progress so if you are looking for a software that has a really good bot functionality this may not be the right choice. However, the basic bot features that have been launched should be good enough for most sales teams. Drift is an easy to integrate live chat for website. Customers use Drift to generate more marketing qualified leads and accelerate the sales cycle. 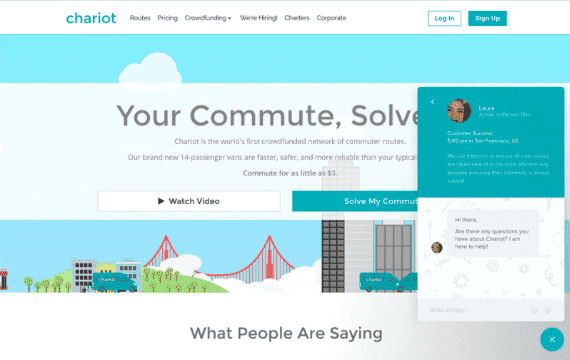 Drift doesn’t rely on traditional forms, cold calls and countless follow-up emails rather it positions itself as a conversational platform that relies on chat in closing more deals. Some of the popular integrations that Drift has are Slack, Zapier and Segment. With these integrations, you manage and respond to all of your live chat conversations in a single place with Drift. You have three plans Personal, Team and Company. The team starts at $360 per month and is suited for the Sales and Marketing teams of smaller organizations. Brands like mongoDB, rapidminer, Segment and Workable use Drift to power their Sales conversations. One disadvantage of Drift it is too steeply priced for smaller companies which makes it difficult for SMB’s to tap into. The analytics features offered by Drift also needs an upgrade. Zendesk chat is a legacy live chat system that is easy to set-up. If you are looking for Live chat system with basic features Zendesk chat is a go-to option. It offers a siloed self-service, pre-chat forms, and basic event targeting. ZenDesk can be easily integrated with many 3rd party add-ons Zoho, Salesforce, Weebly and much more. Zendesk chat offers four plans lite, team, professional and enterprise. The Team plan starts at $19. Foodpanda, OLX, and Outreach.io are some of the important customers of Zendesk chat. This is still a legacy system that doesn’t possess a lot of advanced functionality that other chat solutions have. 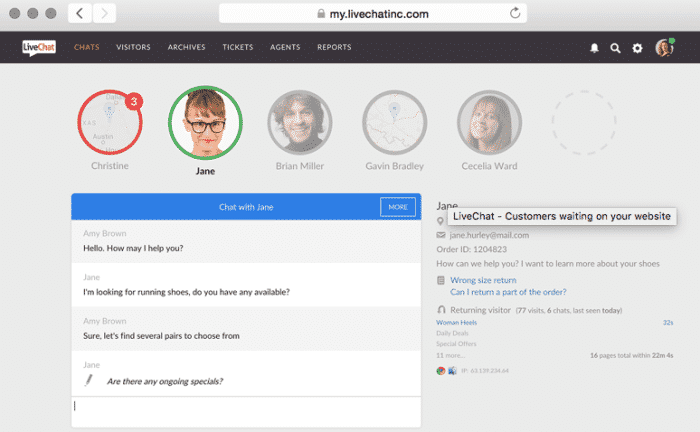 LiveChat keeps things very simple and is an easy to use solution for your online marketing, web analytics, and live support requirements. 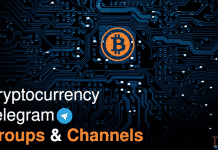 The platform enables businesses to talk with clients and potential customers directly on their websites and in real time. It has main three elements: web-based chat window, web-based control panel, and operator application. The operator application is actually cross-platform, and users can log in and chat with a visitor using desktop and mobile clients. LiveChat offers integration with many 3rd party add-ons such as Hubspot, Autopilot, Zendesk, etc. As far as the pricing is concerned LiveChat inc offers four plans namely starter, team, business and enterprise. The starter plan begins at $16 per agent. Movember foundation, Recurly, and PATLive are some of the brands that use Live Chat for their needs. With LiveChat inc one disadvantage is scaling up is difficult if you have more visitors coming into your site. These are the best live chat apps for Android 2018 to enhance the customer support. 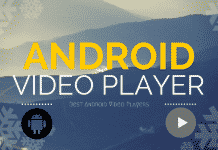 If you like this article, then don’t forget to share it with your friends.